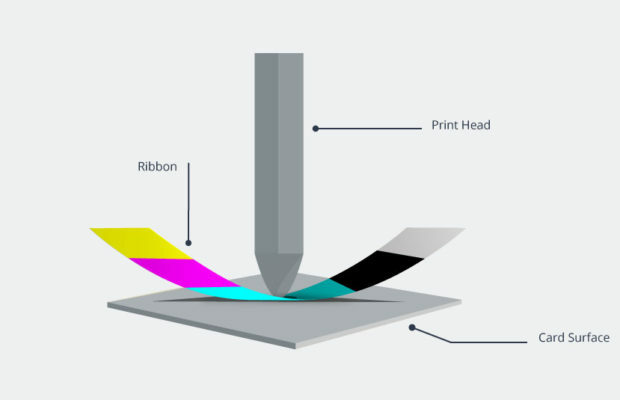 Popularly known as “dye sublimation printers”, these printers are the most common that uses cards and ink ribbons to print. 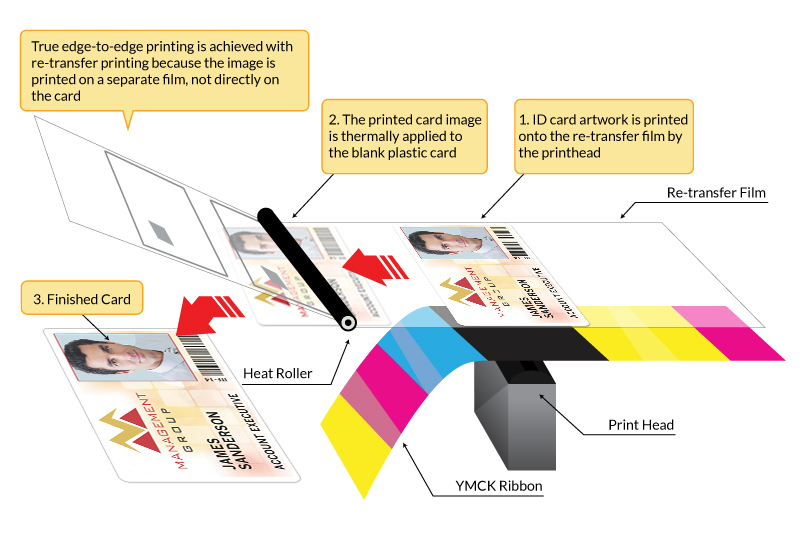 The printhead used in it incorporates small pixels of glass that prints directly on the cards by applying the ink onto the cards. In this type of printing process, you will find a small white border around the corners as printhead can’t go over the card’s’ edges. Direct-to-card printers has lowest cost per card and gives you the faster print speed. These machines are manufactured specially to print onto frequent adhesive-backed and PVC cards. – Decreases the front cost. – Low cost of the ribbon. – Produces more output per hour. Known by names like “over-the-edge”, “reverse transfer”, or “high-definition printer”, these printers print scene. Specially designed to print on cards with irregular surfaces and technology and non-technology cards. They are slower than Direct-to-card printers and will have a marginally higher cost for every printed card because of the way they utilize its different components. This kind of printing will give you the best picture quality and, in addition, more strong cards than the direct-to-card printers. – Better quality of the printed images. – Can print entire bleed onto the corners of the cards. – Less risk of ribbon breakage.